Run For It 2015 | Garrett Mentors, Inc.
Special thanks to our 2015 Run For It Team! 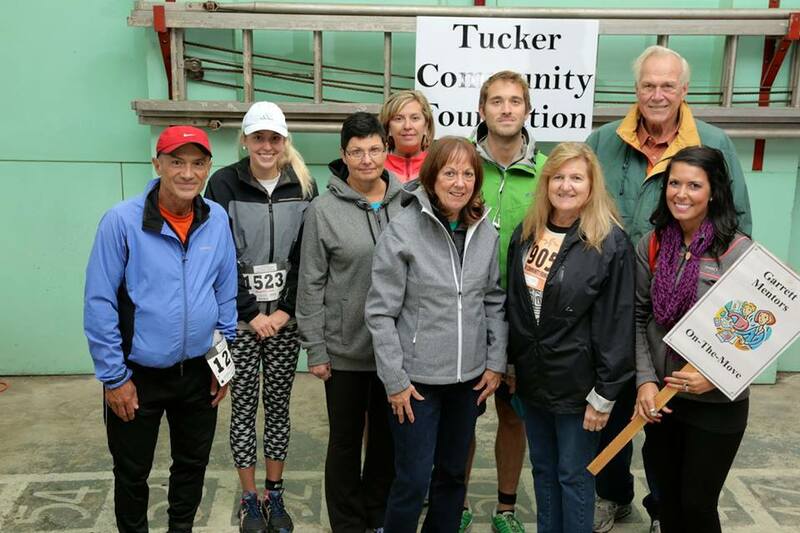 Just a few of our team are pictured but thanks so much to all who donated toward our team, particpated in the 5k race and the 2k walk on Saturday 9/26! 2015 Garrett Mentors Team Members: Amy Azzi, Renny Azzi, Don Coble, Kathy Coble, Jared Fike, Lindsey Thayer, Shannon Milam, Marilee Billhimer, Laura Fike, Gloria MacGowan, John MacGowan, Bonnie Swyter, Kora Gambetta, Isabella Gambetta, Camille Spurr, Ed Spurr, Haley Gillespie! An extra thank you to Haley Gillespie for winning the 2k walk for us for a second year in a row!Thank you to the Tucker Community Foundation for allowing us to raise funds and awareness for Garrett Mentors, Inc.through this event!